From September until December 2017, I taught the master course Principles and Foundations of International Law. This is an intense course (12 EC) that is compulsory for students in both the Master’s in International and European Law: Public International Law and the Master’s in International and European Law: International Trade and Investment Law at the University of Amsterdam. I taught the course together with dr. Hege Elisabeth Kjos and dr. Kevin Jon Heller. The course Principles and Foundations of International Law is not intended as an introductory course to international law. On the contrary, it is expected and assumed that students taking this course have knowledge of the basics of international law and explore the core concepts and principles of public international law. We used the book of Malcolm Shaw (Cambridge University Press, 2014) and additional material such as articles, chapters from other books, and cases. 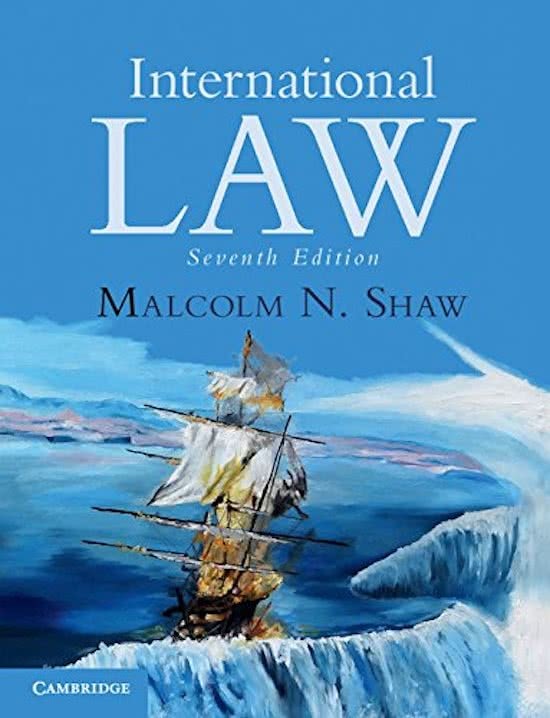 The chapters in Shaw generally provided a descriptive overview of the main principles of law of the particular topic at issue. The additional reading material focused on particularly important, complex, or controversial aspects of the topic. There were two lectures per week and one working group each week. Each working group covered the two topics discussed in the previous week’s lectures. The aim of these working groups was to enhance understanding of the various topics by involving students in the discussion of particular materials and legal problems. This is done through group discussion of key questions and further explanation where necessary. The working groups were not intended to repeat what has been said during the lectures, and only some of the issues addressed in the lectures will be discussed. In order to successfully complete the course, students did not only have to pass the final (digital) exam, but also write a ‘crossover assignment’ that focuses on the relationship between public international law and EU law. I really enjoyed teaching this course and the students were very positive about our course in the evaluations. They even give me the overall grade 8.2, which made me very happy.